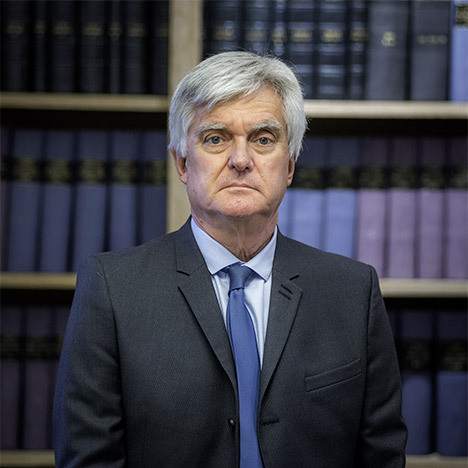 Founding partner, was sworn in 1972, after having studied at the Faculty of Law of Lyon, the Institute of Political Studies and the Institute of Administration and Management of Enterprises. He holds the double mention of specialty, in Commercial Law and Corporate Law. A privileged partner of many Rhodanian companies, he has been advising for nearly 40 years, his expertise is recognized in the world of industry as well as in the field of trade or services. Its excellent knowledge of the economic fabric of the Rhône-Alpes region, forged throughout its rich career and makes him a valuable interlocutor for any company wishing to establish, develop, diversify or find reliable partnerships in this part of France. It is in this context that companies have recured to his interventions as an Arbitrator or Conciliator. In addition, Me Luc CHAUPLANNAZ is a member of professional associations devoted to Business Law. He belongs in particular to the "Association des Avocats Conseil d’Entreprise", which holds three annual sessions on Social Law and Medical Law. Since he is the lawyer of Medical Insurance Companies, which gives him an excellent knowledge of the different types of medical litigation. He is also a wise counselor in choosing exercise structures for practitioners.